How much is your Amazon packaging really costing you? Do you have to pay extra per unit when you ship and store your products due to Amazon packaging size stipulations? Your product’s dimensions and weight can have a significant impact on your cost per unit, but there are ways to help you save money when evaluating your product’s size class with Amazon. Many new sellers may not be aware that if your product crosses over from being a Standard sized item to being Oversized, the cost can rise. For example, going from a Large Standard sized box to a Small Oversize box (over 18 inches in length, width, height, or a combination of all three) can carry a hefty jump in cost per unit. Oversized products typically cost more to store in Amazon’s warehouses via the FBA system, so trying to stay under the threshold if at all possible can save you large sums of money each year. Also, Manny discusses how the weight of products can have a great influence on the cost to ship from your supplier to the warehouse. If your product is made in China and has to travel all the way to the United States, a unit’s weight will determine not only your cost to transport but also eligibility for air transport. In episode 187 of the AMPM Podcast, host Manny Coats will share his thoughts on how Amazon packaging size and weight play a crucial role in your cost per unit in shipping as well as storage and how sellers might be able to cut their costs with such large things. Additionally, Manny introduces Profitability Calculator, a new way to check how profitable a particular product might be given factors like Amazon packaging size or weight within a few seconds. 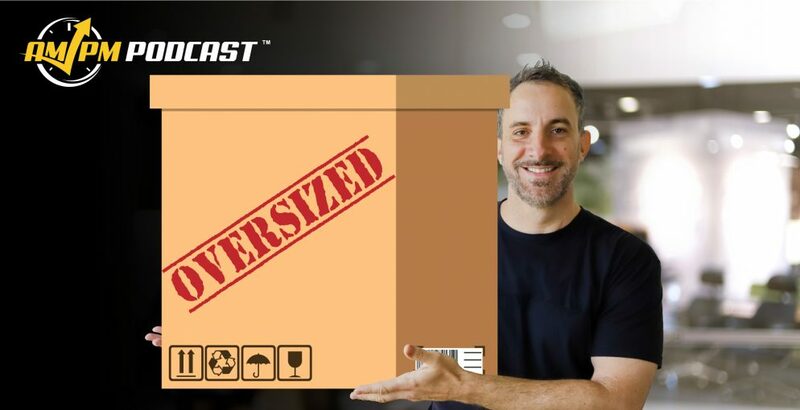 He uses it during this podcast to calculate the FBA fees associated with the example products dimensions and weight to get a reasonably accurate estimate on how much it would be to store the item in an Amazon fulfillment center. Have any concerns about Amazon packaging size and weight requirements? Let us know in the comments below!